Oddly enough, the Kindle Fire already feels like yesterday's news. Why? Because Amazon won't stop launching new products. Jeff Bezos just revealed the Kindle Touch ($99 with ads, $139 without) here in New York City, noting that this guy's using an IR touch system, similar to the latest Nook and Kobo, and there's no keyboard (physical, anyway) to speak of. 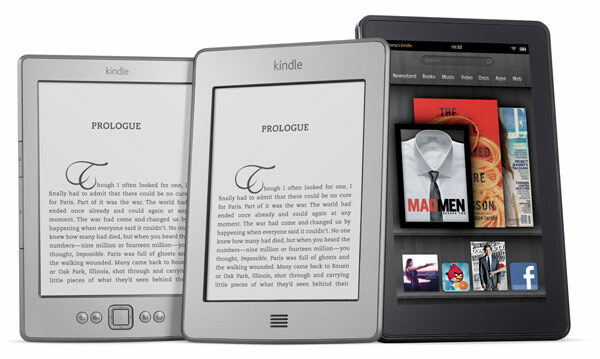 It's slimmer, smaller and lighter than the existing Kindle, with a muted silver chassis that looks almost nothing like the Kindles of today. The entire user interface has been re-thought out, with "taps" being used in place of buttons. Need another reason to buy? We're told that it's using the company's "most advanced" E Ink display yet, and while no specifics were doled out, "extra long" was the term used to describe battery life. A 3G-enabled model ($149 with free global roaming!) will also be available, with the duo up for pre-order later today and shipments going out on November 21st. Unfortunately, the Touch -- like the Fire -- is a US-only product.